The 4-year programme offers 8 scholarships, two each in Biological Sciences. Clinical Sciences, Population and Public Health, and Nursing covering the tuition fee in full. Research start-up funds are also available. The 3-year programme by Institute for Educational Development offers 4 scholarships covering the tuition fee in full. 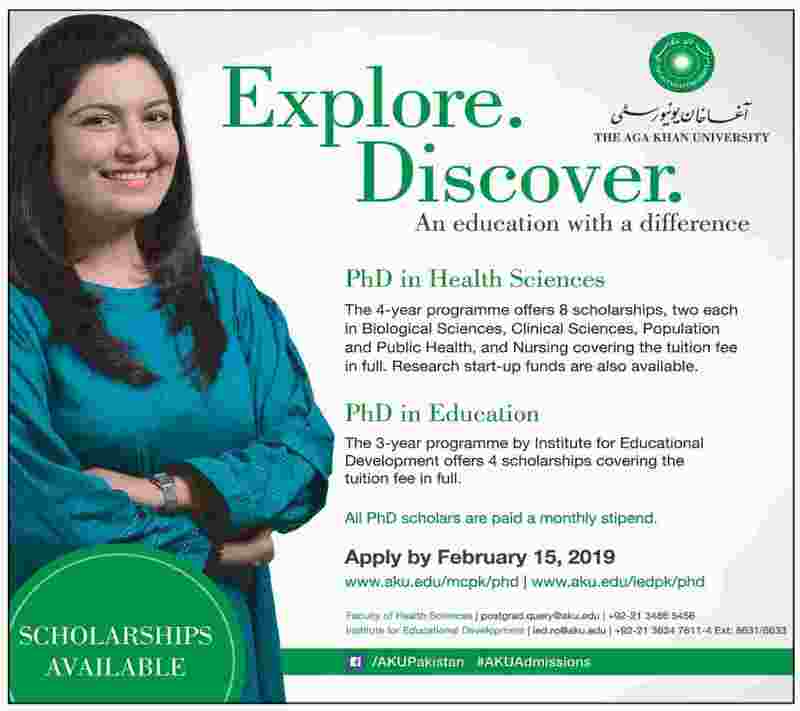 All PhD scholars are paid a monthly stipend.